A collection of one off owner operated B&Bs and Self Catering, selected for their character and value for money. Book early as these places are small one off places and there are no substitutes. The name betrays the soul of this fantastic gem of a place. Moon Shine offers (quite literally) hand crafted self-catering forest cabins in a beautiful plot of indigenous forest in the Crags area outside Plettenberg Bay. Oue Werf is a beautiful authentic farm guesthouse that has been in the same family for 6 generations, tracing its routes back to 1857. There is a lovely rural atmosphere, with open agricultural and mountain scenery, relaxed gardens and traditional Cape Dutch architecture. Bot River is not the kind of place tourists usually stop over at, which is a good thing, as it is a lovely find of a place. These simple farm cottages on the family-run Beaumont wine farm in Bot River are a real gem. An opportunity to experience Overberg life on a authentic wine farm. 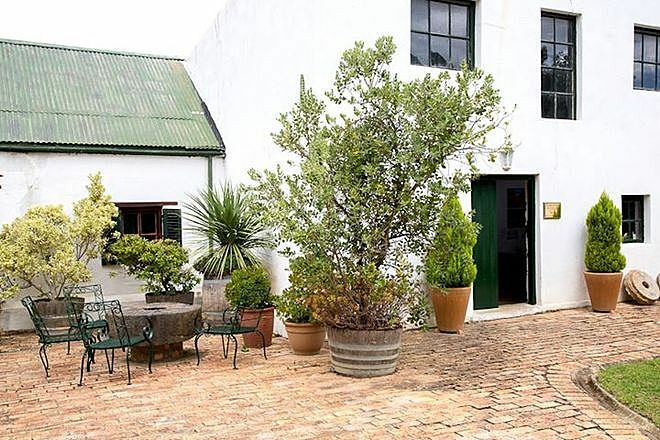 Acorn Guest house is a relaxed, affordable, nicely presented and welcoming guesthouse in a lovely location in the Oranjezicht and Gardens neighbourhood. It is our favoured option for those on a budget in Cape Town. 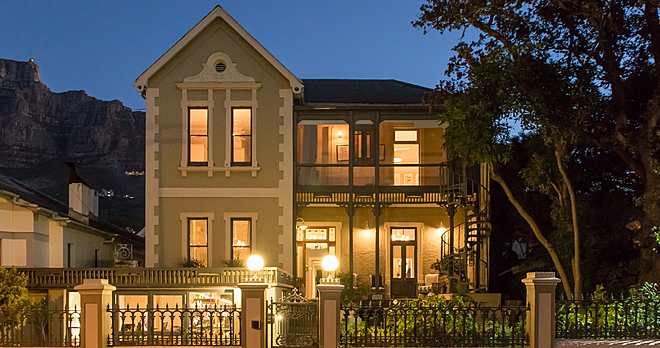 Welgelegen is a lovely contemporary boutique hotel in the heart of the gardens neighbourhood of Cape Town. Attention to detail is everything and Welglegen hits just the right boutique notes; relaxed, stylish, but never stuffy. A holiday of a lifetime. Spend 4 days exploring the best of what Cape Town has to offer, before heading to Kruger, one of the best safari destinations in the world. Two week Classic Garden Route holiday including our trademark Cape Town experience, Safari and Coast. Admire the views at the world's 3rd largest Canyon, go on Safari in Kruger then visit Cape Town & go whale watching in Hermanus. 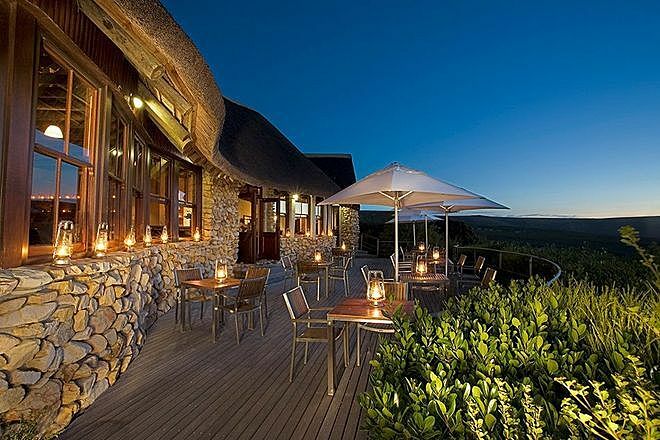 Grootbos is a superb wilderness eco-lodge set in pristine fynbos overlooking the Western Cape’s majestic Whale Coast. We aren’t going to win any prizes for originality for recommending Hogs Hollow, but in this case the big reputation is well deserved, it is hard to see how anyone could go away disappointed from a stay here. Hog Hollow is a high quality eco lodge in a beautiful and convenient forest setting in The Crags area outside Plettenberg Bay. 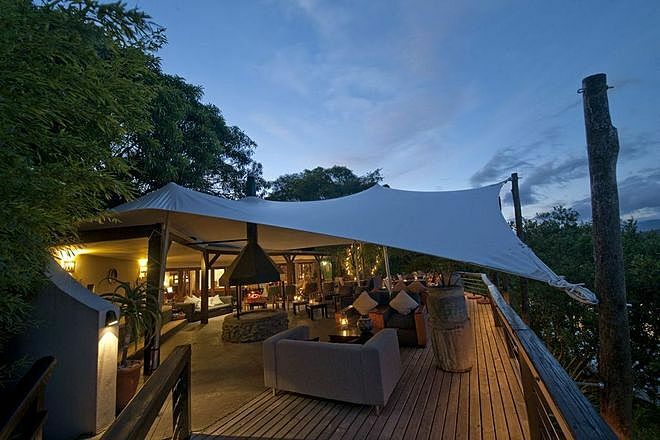 A Tourdust favourite, Amakhala Hillsnek is a simply gorgeous small camp set on a bluff overlooking the main section of Amakhala reserve. This is one of those places where everything comes together just so, with fresh contemporary and inviting décor and a wonderfully relaxed ambience. 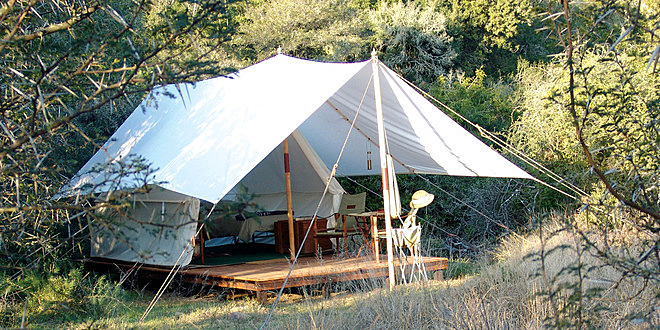 This small and intimate colonial expedition style camp offers a perfect blend of safari ambience, superb wildlife opportunities and unusually good value. 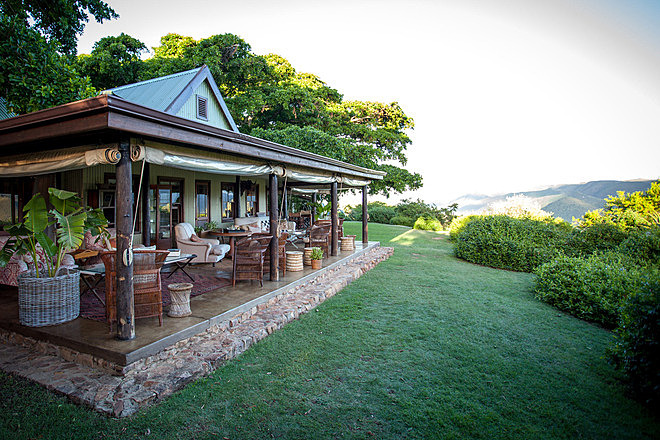 If there were a contest for best stoep (verandah) in Africa, it would be hard to imagine anywhere besting the colonial elegance, mountain views and utterly remote location of Camp Figtree’s magnificent terrace. This small lodge is set atop a high Zuurberg peak with 270 degree views, yet is only a short drive from the main entrance to Addo Elephant National Park.